Mrs. Joy Eyisi, a professor of English Language, was on Thursday 26th October, 2017 appointed as the new Deputy Vice-Chancellor (Academics) of the National Open University of Nigeria (NOUN). The University Senate on Wednesday, 25th Oct., conducted an election to fill the slot which became vacant at the expiration of the tenure of the former Deputy Vice-Chancellor, Prof. Patrick Eya. A statement signed by the director of Media and Publicity of the institution, Ibrahim Scheme, said Mr. Pratrick is expected to resume in December as the director of the university’s Regional Training for Open and Distance Learning. Mrs. Eyisi, the immediate past director of NOUN’s special study centre located at the National Assembly, is the first female DVC in the history of the university. She hails from Adazi-Ani, Ani-Ocha local government area of Anambra state. Her tenure is for two (2) years. 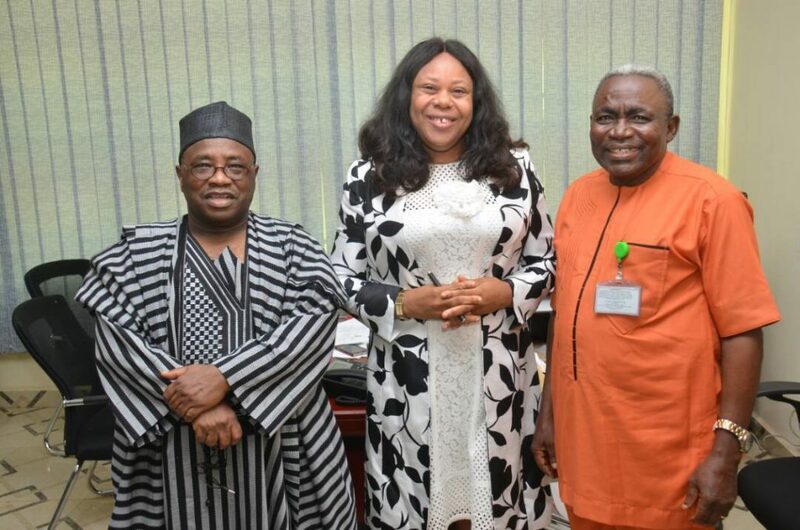 At the brief handover ceremony held at NOUN’s headquarters in Abuja, the new DVC thanked her predecessor for his fatherly advice and the university management for the confidence it reposed in her. The event was witnessed by the Vice-Chancellor, Abdalla Adamu, who felicitated with both Mrs. Eya and Mr. Eyisi – one for successfully completing his tenure and the other for her victory. Mr. Adamu reiterated his oft-repeated confidence in NOUN’s women community, saying the women in the university are some of the best in Nigerian academia.